Jeremy Christian - yes, that's his real name, joins David Smalley in studio to take questions from listeners. 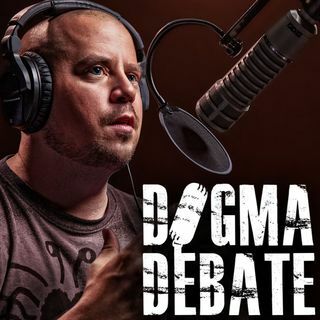 I've listened to the episode twice and it seems to me Mr. Christian denies almost every essential belief of the Christian faith. The existence of hell, the person and origin of Satan, the virgin conception, the diety of Christ, inspiration and infallibility of scripture, being unsure of "the whole Holy Spirit thing". I think Mr. Smalley represented Christianity much for accurately than the "Christian" guest. Mr. Christian pulled a bit of a hat trick here in managing to propose a God I actually find LESS appealing, loving and reasonable than the one Greg Locke worships. I find it interesting that the more honest believers are the more weak their position seems. From the 'damn, I wish I would have said...' file ...Regarding, humanity's experiences, just as is the case in an individual's life, the missteps and mistakes are just as valuable, if not more so, as our good times. Removing or interfering in the practice of slavery would have ultimately done humanity a disservice. We learned from our slave owning past the value of equal rights and mutual respect. Slavery, as ugly as it was, was a building block in humanity's journey to where we are now. Well, Richard, I guess if you don't want to come off as a total douche bag you'll find a way. How do you not laugh outloud sometimes?